Cinco de Mayo is a day to celebrate Mexican heritage and pride while it is also another great reason to party! 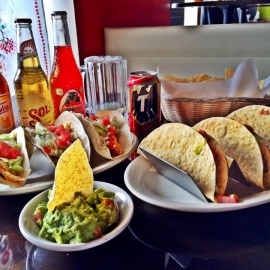 Much like St Patricks Day and Oktoberfest, Cinco de Mayo in Buffalo New York has several events and parties at local restaurants & bars. No matter your reasoning for celebrating Cinco de Mayo in Buffalo NY, you will find plenty of things to do. Around this time of year you will find several parades, Mexican Festivals and of course Margaritas & Corona specials. Not only is this day is a national holiday in Mexico but for most here in Buffalo NY, Cinco de Mayo 2019 is a day to party and celebrate with friends! At the moment we are planning a 3 day Cinco de Mayo Weekend geared around food, drinks, and family components. Once we work out the details we will be posting and updating. Cinco de Mayo Celebration May 5th! We will be posting more information soon about our plans for Cinco de Mayo! This is a new event depending on the interest level. Saturday at noon we will have a taco bar with tons of choices for your taco lunch. A pinata for the kids at 1 and bonfire social in the evening on the beach. Bring your favorite tropical drink! Cinco De Mayo Party - food , drink specials and give aways too. Margaritas ,margaritas ,margaritas!! Cinco De Mayo Party !!! Come celebrate Cinco De Mayo with Fullhouse !!! No cover charge . Free make your own taco bar yummy ! Margarita and tequila specials again yummy !Live music too. Areeba !!!!!! Let's celebrate Cinco de Mayo with style at Southern Tier Distilling! Qwister's reggae dance party all evening long. 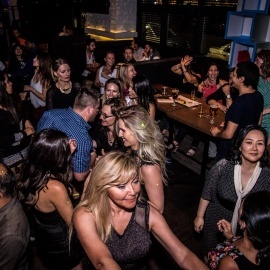 Medleys galore, upbeat originals and edgy jams that will get you moving and grooving! Tacos, Tequila and live music at 9 pm. If you are looking for things to do for 2019 Cinco de Mayo in Buffalo, then check out the 716area Buffalo Guide. There are plenty of Events in Buffalo for 2019 Cinco de Mayo. Know of events in your area that are not listed, then post events on the website to help others looking for things to do. All logos and trademarks in this site are property of their respective owner. The comments and listings are property of their posters. All the rest Copyright © 2019 by 716area.com. All Rights Reserved.